Team Management thought enough of Sale after his 1st year as a Starter – to have him earn 850 K in 2013, $3.5 MIL in 2014, $6.0 MIL in 2015, $9.15 MIL in 2016, $12 MIL in 2017 and two straight Team Options in 2018 ($12.5 MIL) + 2019 ($13.5 MIL) or a Buyout of $1 MIL in either season. Sale was 4th in AL Wins (17) and ERA (3.05), plus 5th in Win Percentage (.680). The man fanned 192 (9th in AL) and was 5th in AL WHIP (1.135). He was named an ALL – Star for his efforts in the 1st half. Chris Sale seems relieved after inking his 5YR/$32 Million Contract with the White Sox. Why shouldn’t he be? Rather than going year to year through arbitration, Sale and the Sox decided to come to a mutually beneficial agreement. The deal could be as lucrative as $60 Million by the time all is said and done. After the 5th year, the Sox hold Team Options for 2018 and 2019. What’s the downside? I suppose Sale could blow out his elbow due to his “bad mechanics”. Chances are, he only continues to get better. Don Cooper, Sox pitching coach, says Sale won’t be “babied”. The Sox are hoping to get 200 plus Innings out of Sale in 2013. Last year was Sale’s first full season as a starter, and it ended up being a successful one. Sale went 17-8 with a 3.05 ERA – and finished 6th in the AL Cy Young race. 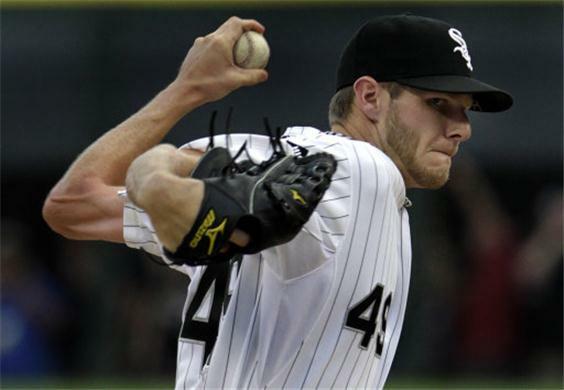 Sale is said to have added 7-8 pounds over the winter, and plans on having a strong 2013 from start to finish. He’s looked great in Spring Training so far (2 – 0 with a 4.38 ERA + a WHIP of 1.216). “The Bulldog” AKA Jake Peavy: Is He Set For A Dominant 2013? Jake Peavy was 58-33 (.637) between the years of 2004 – 2007 and lead the NL in ERA for the 2004 and 2007 years. Peavy won the NL CY Young in 2007. The Sox are hoping he can regain his ace like numbers in 2013. What does someone do when they tear a muscle away from the bone? You immediately walk off the field and head to the locker room. That’s what Jake Peavy did in 2010 when he was pitching against the Angels at US Cellular Field. This was a first in MLB, a detached latissimus dorsi muscle. A little more than a week later, Peavy had surgery to re-attach the muscle, ending his 2010 season. Unfortunately, injuries have been a common theme for Peavy since he was traded to Chicago in 2009. He was still suffering from a strained tendon in his ankle when the Sox acquired him, and injury that allowed only him 3 starts with his new team. But, those 3 starts turned into 3 wins, and a sparkling 1.35 ERA. 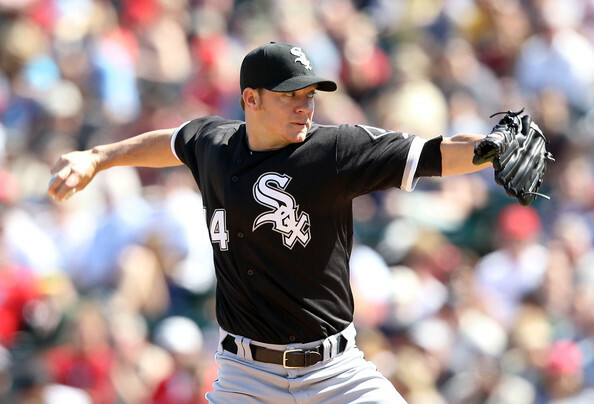 This was supposed to be sign of things to come for Peavy in a White Sox uniform. But in 2010, he suffered the devastating muscle injury, and didn’t seem to be completely recovered until the 2012 season. In 2011, Peavy had probably the worst season of his career. He appeared in only 19 games, including one relief appearance, and had to be shut down before the season even ended. He battled through several different ailments, but always had a “never pull me out of the game” attitude, thus earning the nickname Bulldog from Sox broadcaster Hawk Harrelson. Peavy entered 2012 knowing that it could be his last season with the Sox.